Jessica is currently finishing up a six week training camp for her first MMA fight, she will be making her cage debut at the NAAFS Proving Grounds MMA series in Akron, OH on 5/14/2011 against a tough college wrestler, Nikita Netjes. 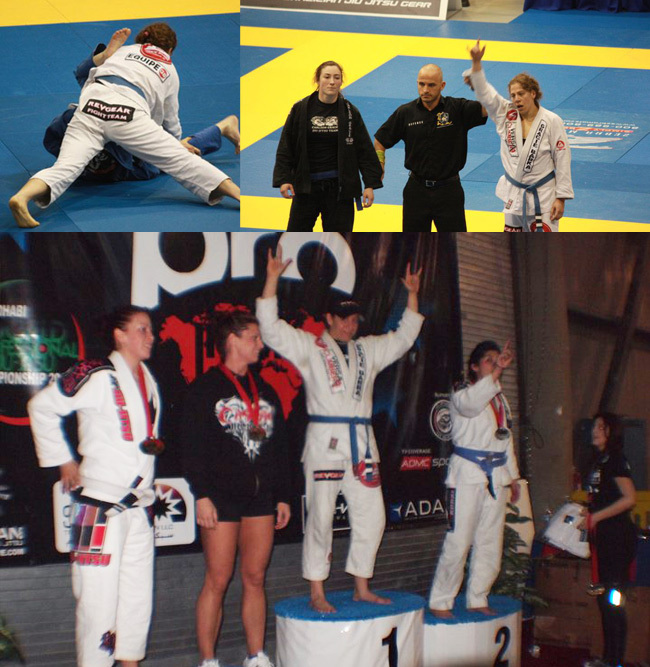 NAGA also just released the final results for the 2010 season overall, and Jessica was NATIONALLY RANKED #1 (gi) and #2 (no-gi) for all adult females in the circuit. This was the result of a long season of training and competing, and this accomplishment will be recognized in Gladiator Magazine! !